Things can be written in many different ways. The words that you choose will create a mood that subtly works on your reader, like background music in a movie. Words are hard, soft, provocative or gentle. Anyone who has ever raised their eyebrows at a swear word knows that. In diplomacy, we choose our words with care. A clever writer does the same with their fiction. Whole atmospheres can be woven into the narrative. It sets the mood, so that your reader is in the right frame of mind. Then you hit them with the high point of the story. Read on to learn the importance of a precisely placed word. Though, in fairness, the evidence was collected during a drunken night on the Llyn Peninsula in Wales. Four friends were chatting outside a pub. They were a truly international lot - a Swede, a Ukrainian, a Spaniard and an English-born Celt. Between them, they had much more than that in the languages that they spoke. The conversation turned to cussing. It was quickly determined that you couldn't swear in Spanish nor Welsh. It just didn't work. The sounds weren't harsh enough. Swedish came in near to the bottom of the pile too. Slavonic and Germanic languages. Those are the way to go, if you want to say something nasty to another person. Which was probably why the fine gentlemen of Aberdaron - who were talking near us, thus prompting this discussion - switched to English to curse, then back into Welsh for everything else. It wasn't what was being said. We were all being equally vile in our various languages. It was the way it tripped off the tongue. All the passion in the world won't stop the nastiest Welsh swearword sounding like poetry. 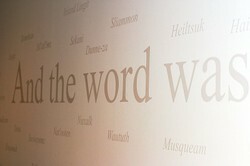 Yet you don't have to move between languages for word sounds to make a point. Monoglot writers do it all the time. If you can say the same thing in a dozen ways, why not choose the one which supports the mood? Let me show you how the same thing can be said in two different ways. 1, The evil man marched down the hill. 2, The sinister son strode down the slope. Which one appeared more edgy to you? Which felt slightly more dangerous? Which gave you an impression that this individual wasn't particularly nice? I'm hoping that you're going to choose the latter version. The actual words are a little more diluted. He's only sinister, not downright evil. He's walking quickly, but marching implies an army. Moreover, marching feels like he's coming towards you. But the second one had sibilance. The repetition of the 's' sounds like hissing. Sibilance is your friend, if you want to create an air of tension. Also 'strode' is much more blunt than 'marched'. It trumps even the sibilance in that latter word. See, it's not what was said, but how it was said. You can make the most innocuous of things appear unsettling, as long as you carefully insert the right words. Here is an example, which would be very innocent and cute, if I wasn't destroying the mood with how I write it. The infant slunk across the carpet in search of his shaker. Hands grasped the plastic. He shook; and his small face split with bliss. Are you a tiny bit worried about this kid? It might help if I rephrased it all. The baby crawled over the floor, looking for the rattle. He found the plastic toy and rattled it. The boy's tiny face glowed with hilarity. Nothing changed but the way I told it. 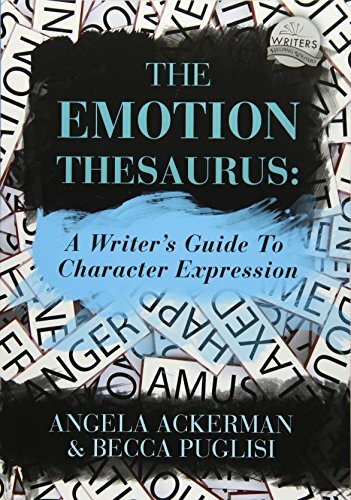 It's a trick used by writers everywhere, not merely to create a mood in fiction, but in other ways too. News reports are classic examples. Journalists tell you what to think by the words they choose to tell the story. Rebecca McClanahan's excellent guide is filled with more tips and tricks. 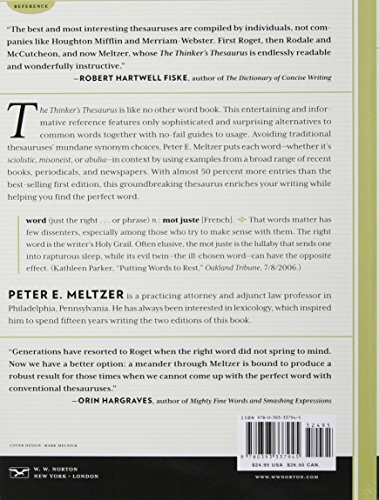 Buy it to learn how to find the perfect words to tell your story. By choosing your words with care, you can imitate the narrative in how you tell it. An absolute master at painting ink Polaroids was the war poet Wilfred Owen. His descriptions were very deliberate. Even if you didn't speak the language, you could hear the meaning. Owen used the sound of the words to reflect what the words were actually saying. It's only a subtle effect, when you read his poems in your head. To get the full effect, you need to speak these lines aloud. Try acting them out, if that helps. Anything to get the blatant sense of what he did here. You are reading the opening lines to Anthem for Doomed Youth. It is about soldiers dying in the trenches of World War One. It tells of the utter violence of their deaths; and the way in which they can't be honored with the usual funeral arrangements. The first line has a hint of sibilance in 'passing', but no repetition, except for that last syllable of 'bells'. A passing-bell, by the way, is the slow tolling of a church bell, when the funeral procession is coming close. He was recalling a quiet, pastoral scene. It's almost like a Sunday afternoon, despite the sad tone. He didn't have to write it like that. He could have said, 'slaughtered like oxen'. But that was too harsh. He needed us to be lulled into a false sense of security, because we're about to be startled by machine guns. Bam! The first volley is loud and rhythmic - MONstrous ANger of the GUNs - we get that repetition in 'on', 'an' and 'un' sounds. Very similar, but nothing compared to what happens next. Just listen to the gunfire in these words, 'stuttering rifles' rapid rattle'. Can you tell every time a bullet was shot there? Say it again, aloud and imagine the reality on that battlefield. The alliteration makes it real. The men die there. They 'patter out', as consciousness fades. Those around them are embittered by the carnage. Now Owen ends on sibilance, 'their hasty orisons'. Now you can hear the hissing in the emotion. He's not a happy boy. It's not just poetry where you can do this. 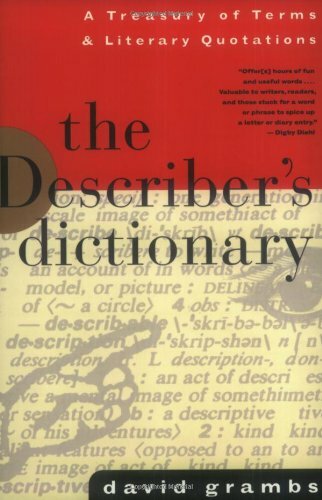 Word pictures can be crafted in anything from a brief note to an epic novel. 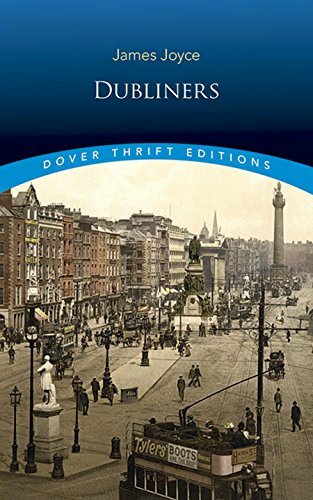 Just ask James Joyce. He was far more interested in his 'epiphanies' - catching the soul of the thing - than in actual word meaning. Better yet, check out Lewis Carroll. 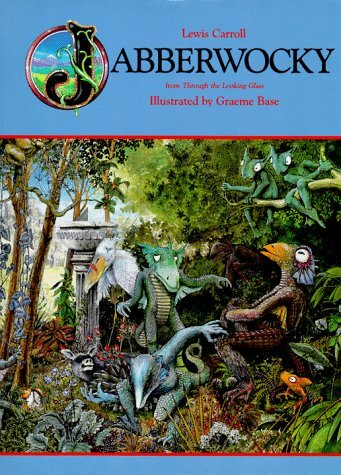 His whole Jabberwocky barely contained a recognizable word, but it told a story brilliantly! YouTube film-maker Loreleila reads out this famous poem from 'Alice Through the Looking Glass'. Note the words that Carroll used. 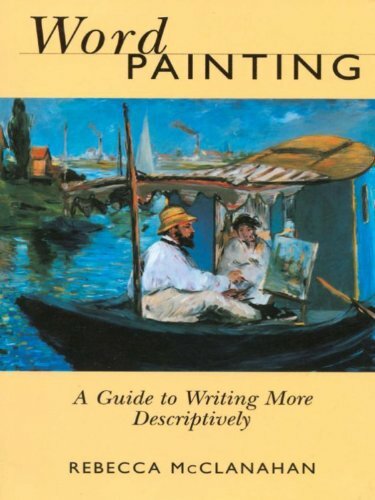 Buy the works of Wilfred Owen, Lewis Carroll and James Joyce to see precisely how words can be used to create atmosphere. 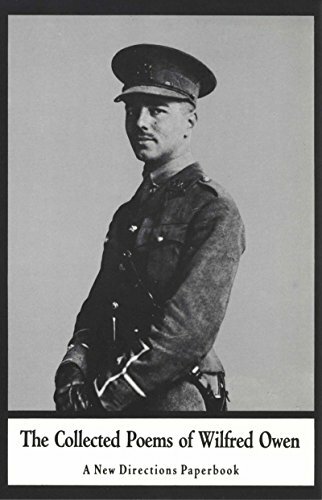 Wilfred Owen is arguably Britain's greatest ever war poet. His words took his readers right into the trenches of the First World War, and broke their hearts. We have a remarkably large number of harsh words with lovely meanings. This is great for horror and tension, not so good for nice things. I was once writing a scene where the protagonist was fairly religious. He was also in love. I was attempting to convey that this relationship felt holy to him. His spirituality had ebbed into more worldly romance. Unfortunately I was writing in English. Find a synonym for 'prayer' and you end up in a mire of harsh sounding words. Blessing. Exultation. Praise. Beseech. Supplication. Petition. Request. Suit. Adoration. Some of those aren't too bad, until you add the suffix 'tion' to them. And only the words nicked from the French have any gentle elements at all. We pray like it's a curse in English. Which is possibly why Latin was used for so long instead. Blessing is hissed. Petition sounds like a machine gun going off. Suit is blunt. Try being cheerful in English and you end up in the same swamp. Happy is fine, but happiness ends like a snake has taken over. Same with bliss or kiss. As for the word 'love', the best we can say about it is that it avoids sibilance. It's notoriously too short, which is why people try to add meaning by writing 'luuuuuurrrvvveeee'. Compare it to the 'adore', 'amor' and 'amore' of the Romance languages; or the 'cariad' of the Welsh. Even the Germans, who bequeathed 'love' on the English language over a millennium ago, moved onto 'liebe'. Taste your words on your tongue and really pay attention to their sounds. Then note which appear kind or hard, regardless of actual meaning. These will become the secret tools in your writing box of tricks. Envelope the harsher phrases in gentler clouds of words. It dilutes the sounds and returns everything to their definitions. The key to sibilance is in the repetition. You can merrily use 'bliss', as long as there is no 'happiness' or 'kiss' in the immediate vicinity. You can lengthen blunt words by adding better ones in support. For example, 'my suit is your love' can become 'I'll make my suit for your love'. But best of all, you can change the word. Something seems bad, if it's negative. It appears bad, if you want to be more positive. 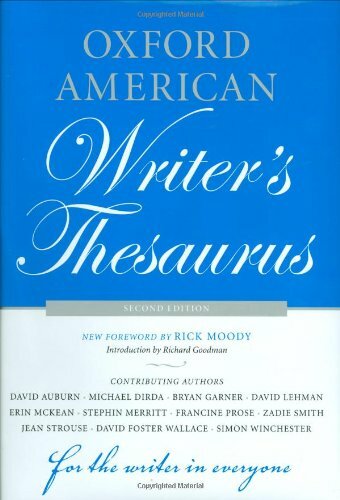 This involves a large vocabulary and/or a well-worn Thesaurus. 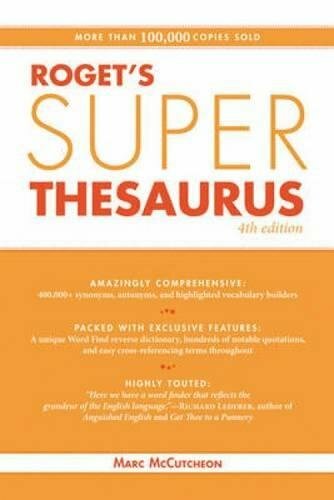 These books contain synonyms and antonyms for thousands of our most common words. 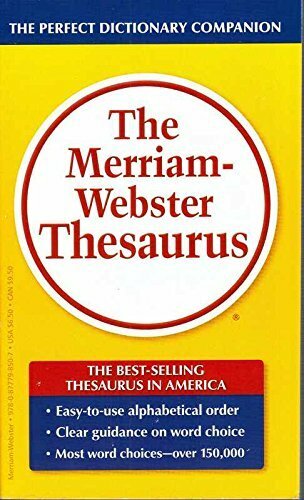 I own three different Thesauri. I will not be parted from them! Original characters can make or break fan fiction. 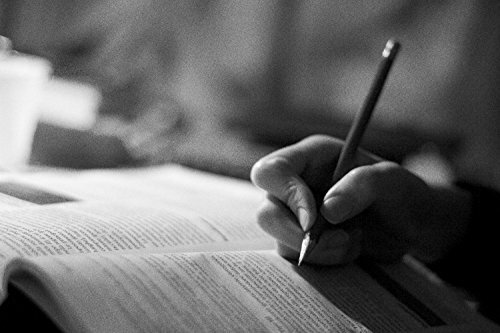 Discover tips and tricks for writing people who complement the canon. It is the worst of lines, it is the best of lines. That all important first line can determine whether anyone reads on. When the end of a chapter creates a natural break, how do you convince readers to keep on reading to the end? The canon personae are already established. Your original characters need your help. Your imagination breathes life into both. That was a great article, well researched. I think you would make an awesome writer. Awww! Thank you very much, Winterfate. It's been way too long since I was in Spain. I hadn't been there since childhood! I'll have to go and visit my friend and listen to those lively conversations. I tend to swear in Welsh if I'm working or playing a game (and therefore have kids listening over the headset); and English if I'm in an argument. I love hearing Italian spoken. I've never heard them swear though, so I don't know if that works. Tips and tricks to keep those creative juices flowing. If inspiration refuses to come to you, how do you get to it?